Did you know that there are some 8,500 species of click beetles? Did you know that click beetles frequently fall on their back and can't roll over? Did you know they have to release a snap mechanism to fly through the air and hopefully land on their feet? Did you know that the 4,000 types of crickets can be found underground, above ground, and even in water? Did you know only the male cricket can make a sound? Did you know that ladybugs eat aphids that feed on leaves? Where did I learn these fun facts? I've been reading books by author Eric Carle with my boys. When you think of Eric Carle, you may think of classic stories: The Very Hungry Caterpillar, The Very Quiet Click Beetle, The Very Grouch Ladybug, and more. What you may have overlooked are the informational text passages in each of these narratives. Most of these paragraphs can be found at the beginning or end of the book. You may have also overlooked the potential for using these as close reading passages for K-2 grade students. It can be tricky business finding informational text for K-2 students to read closely. Ideally a passage needs to be short, include strong vocabulary, and engage students. Well written texts can provide a mentor text to students so it's helpful if the passage has a strong main idea and details. I know a lot of teachers have scoured libraries and online resources to find these types of paragraphs. Some teachers are even writing their own passages. 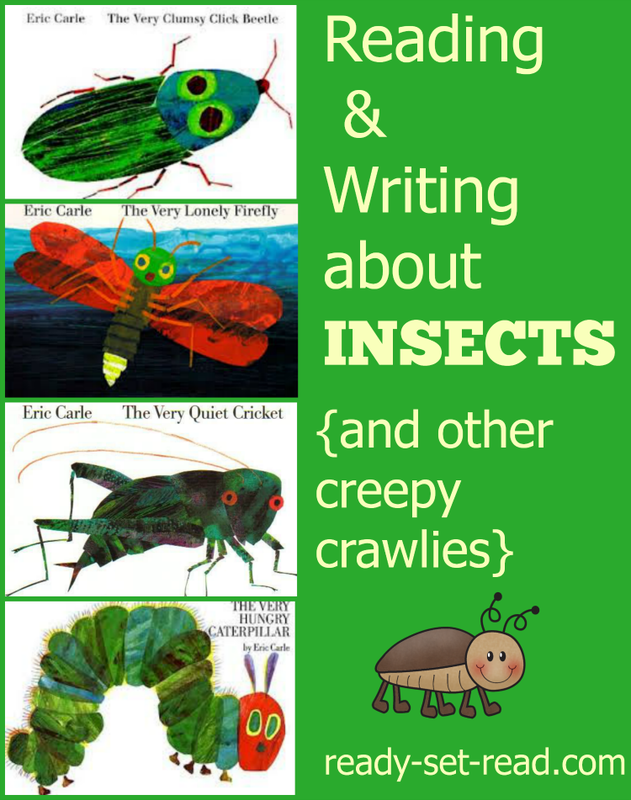 You probably have several of Eric Carle's picture books in your classroom and these are a great resource you could use today! Provide the students with an introduction to the text. It could be simply looking at the illustration on the cover or a few selected illustrations in the book. Carle's art is very engaging to students and they will probably take notice of a lot of information from simply looking at the illustrations. Read the paragraph. 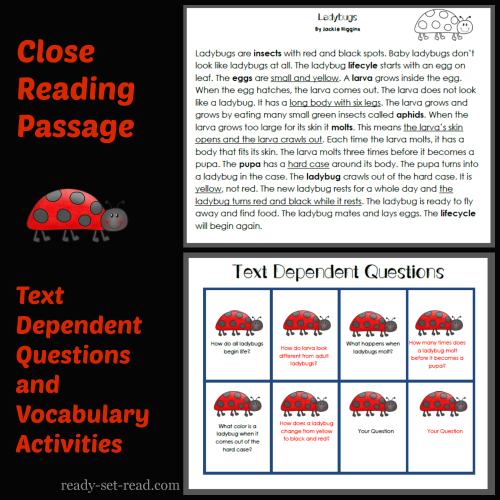 Depending on the reading level of your students you may want to read the passage aloud, together, or let students read independently. Consider projecting it for the whole class to see if you are reading it aloud. Ask students to stop when they notice something that surprises them. Then have them ask, "Why does this surprise me? What does this suggest?" I found this question from Kylene Beers blog. She is the author of Notice and Note: Strategies for Close Reading and she is working on Notice and Note for Expository Texts. She is already sharing a lot of tips on her blog. I tried out this strategy on my kindergartener when we were reading a book about Koalas. It surprised him that Koalas have two thumbs on each hand. When I asked him the follow up questions, he said, "It tells me I'm not a Koala." At first I thought, "no, duh!" -- but I didn't say it, promise. But as I continued to listen, he said, "Maybe it's because I don't eat just leaves. Maybe I need more energy than that, so I eat other foods. Maybe the Koala needs those thumbs to eat those leaves." All of those were facts he had drawn from the text. Koalas have two thumbs. Koalas eat leaves. Koalas don't have much energy. So, I think it was a successful close read. Allowing kids time to talk about their reading, really does pay off. When you are working with your students to closely read the informational texts, you may also want to focus their attention on vocabulary and text dependent questions. It may be useful to put your TDQ on cards and let groups draw cards and talk about them. You might even want a card that says, "Your Question". I think the ultimate goal is for students to take ownership of the questioning and discussion. Here's an example of one close reading passage about ladybugs. Insects are a popular spring theme in K-2 classrooms. 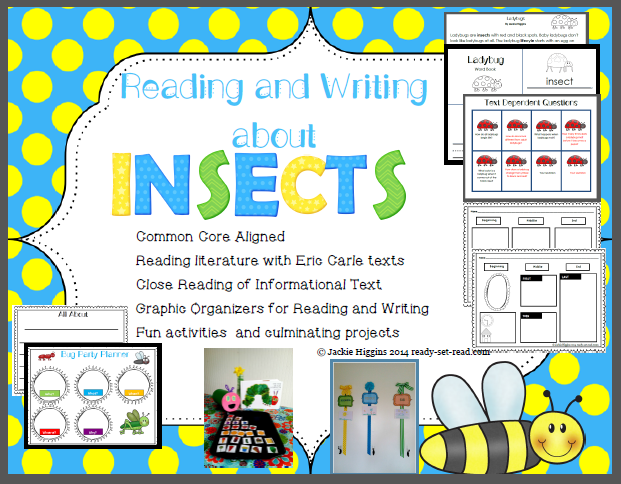 If you would like an additional close reading passage, activities, and more lessons for reading and writing informational text, check out my Reading and Writing about Insects unit.